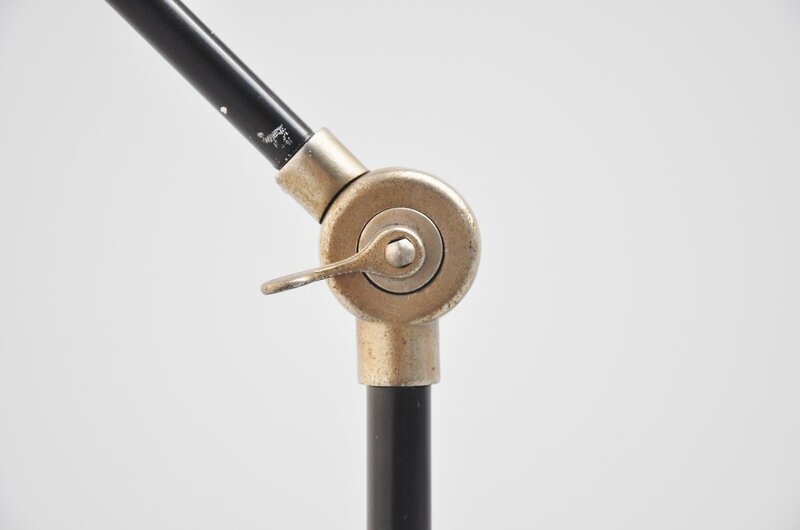 Very nice industrial floor lamp designed by JJM Hoogervorst for Anvia Almelo, Holland 1960. 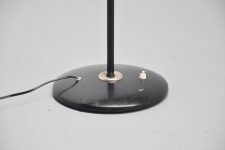 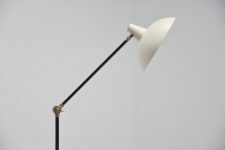 This lamp is often sold as Gispen or Rietveld but its not designed by either of them. 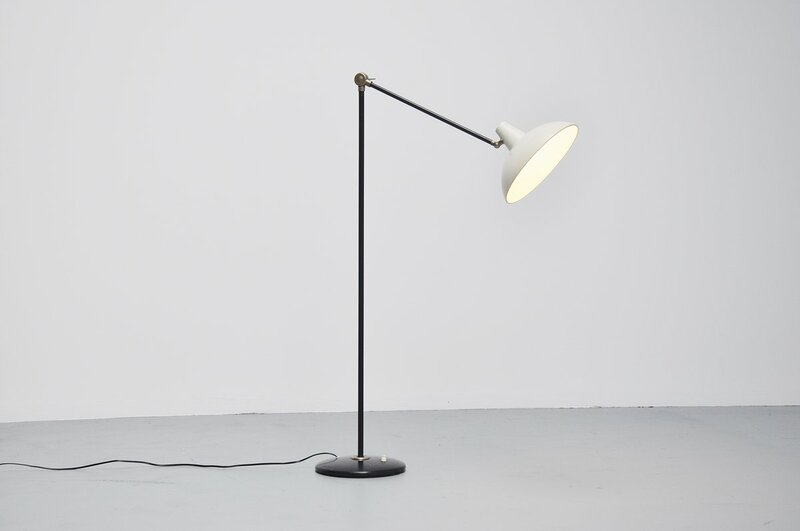 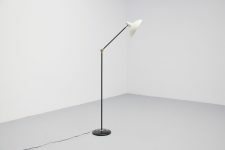 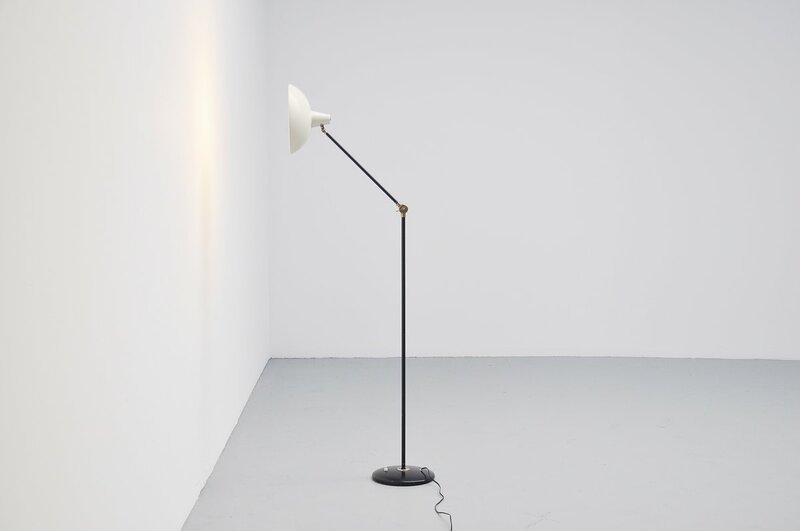 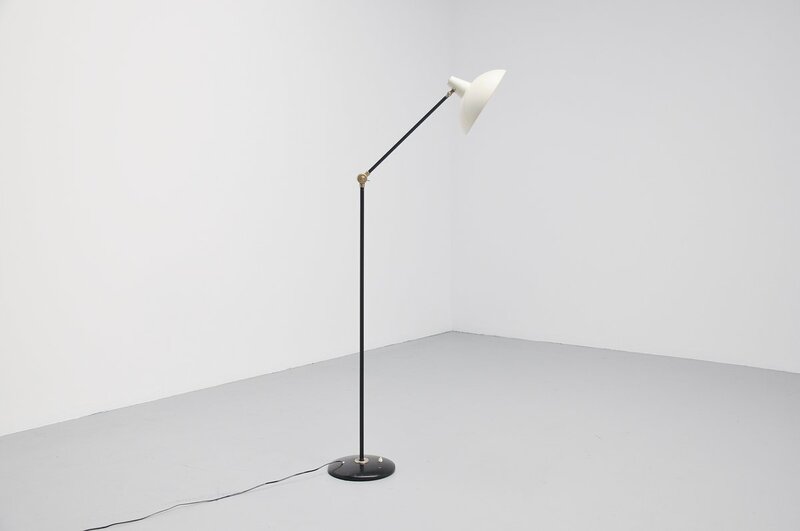 Very nice and subtle floor lamp with adjustable arm and shade, great to use as a reading lamp. All our lights are checked, cleaned and are suitable for use in the USA. 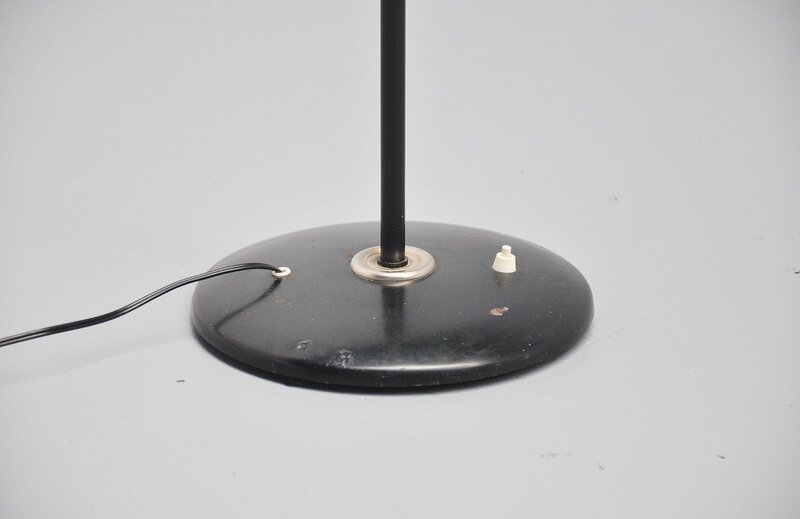 For US usage you would only have to change the plug or get a converter.